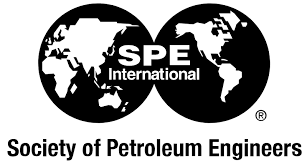 This paper, “Securing the Future – in Partnership with the Environment” was selected by a program committee of the Society for Petroleum Engineers for presentation at the Offshore Europe 1995 Conference and Exhibition. A part of a larger collection discovered by Jelmer Mommers of De Correspondent in a trove of internal oil and gas industry documents, this report provides a brief overview of notable environmental policies and protections that are relevant to industrial energy production. Touching on events such as the Framework Convention on Climate Change and the Rio Declaration on Environment and Development, as well as policies and theories that emerged from those events like Sustainable Development and the Polluter Pays Principle, this paper pieces together a crash course in environmental policy and history that also presses the urgency of industry leadership on environmental issues.